I'm your pretty typical thirty-something ex-academic turned wanna-be-web-developer. I'm currently living in extreme northeastern Mississippi, in the US. Wow. There's a story there, of course. My background is an odd mix of information technology, philosophy and political science. For some time (ten years or so), I was a researcher in a department within one of Mississippi's state universities, dealing primarily with state-wide public policy initiatives. As an adjunct to my regular research position, I was also primarily responsible for most of the IT-related initiatives within our department, including the department's web site (which was then running on a custom CMS I had cobbled together). Anyway, time went on. Everything that can go classically wrong with a web site roll-out, well...went wrong. My department head was the perfect example of The Peter Principle. There was no budget, no additional personnel, and, it turned out, I had only a very small clue what I was doing. The proposed site's features creeped daily, as did its "importance to the organization." What had started as a small site that "would be nice to have" eventually became a huge, purely-theoretical creation that would "put state funding in jeopardy if it wasn't working ASAP!" I'm compressing a long and tramatic year or two into a paragraph or three, of course. I tried Drupal, then tried a few other systems. I came back to Drupal because nothing else was a match for its features, and I *knew* it was the right way to go. Developing with it was tough, though, because I was starting from scratch with PHP and there was a lot at stake. Again, I did every single thing I knew better than to do. I didn't hack core *all* that much, but I was flying along by the seat of my pants otherwise, developing on a production machine with no version control and without any significant backups. The site, I thought, HAD to get done. Of course, all of this came to the only conclusion it could really ever have: I "finished" up a pretty slick roll-out of about two-thirds of the functionality that had been planned "just in time" for an out-of-town conference attended by most of my colleagues. I'd been up for a day or two, and was thinking mostly about going home and getting some sleep while everyone else was out of the office. With my mind elsewhere, I botched a manual backup and accidentally dropped the site's MySQL database. I still had the contents of the file system, of course, along with my custom code -- but no data. No working site. No data, and no real way to recover. I went home, got some sleep, and resigned the next week. My boss was happy to see me go. The web site is now three or four pages of hard-code HTML, which, as it turned out, was all that was really needed after all. I moved away, and am attempting to leverage my skills in a better environment. To paraphrase: Not being able to finish a goal: really tough. Not being employed: really expensive. Learning some really good object lessons about web development: priceless. Drupal has a great community, and if I had found it my first time through I doubt things would have ended as they did. Though I've programmed all my life, I'm still not as proficient in PHP as I would like. But, one thing I can do is write, and edit. So I do that. I got caught back up with Drupal after 5 had been released, and 6 was under active development. 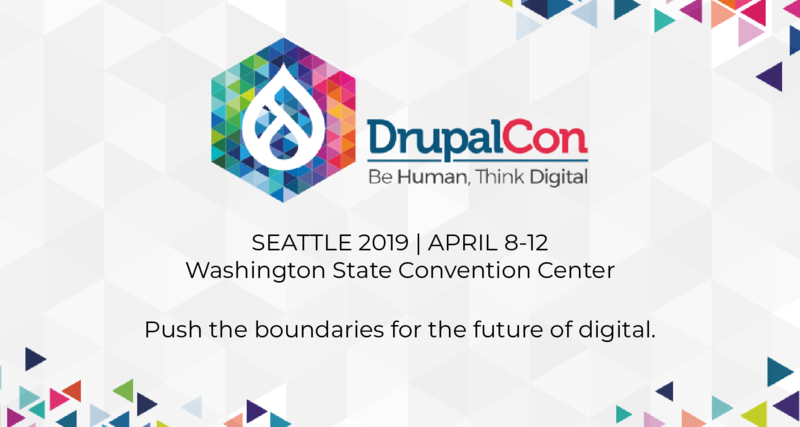 I lurked in the issue queues for a long time before I ever commented because -- like it or not -- there is a set of social rules that generally apply to Drupal development, much of which is not immediately obvious. It is sometimes hard to know what items are up for discussion and which have been put to bed by long and drawn out threads of the past. 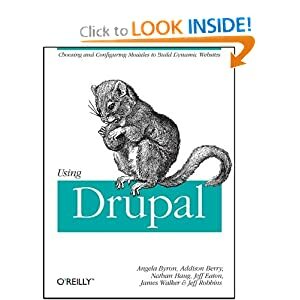 And, let's face it: the Drupal development set is one very smart group of folks, and for some time, I thought that I had nothing significant I could add. With a little perseverance and the willingness to go out on a limb, however, contributing is a very rewarding exercise. Its been over a year now since I left my previous job, and editing interface text here and there is getting me back into writing again. My "Drupal fu" has substantially increased, and I'm hooked. The plot twist to lose your job is sure something we cannot compete. Rock on Keith. :) I'm glad it was an entertaining read, though (obviously) it was traumatic at the time. Much of it was my own fault so there's nothing to do now but look back, shake my head, and try to laugh about it. You make me blush. And I doubt that there have been hundreds of changes, but perhaps there have been dozens. On almost every one, though, other folks in the community have done a large part of the work. You were largely responsible for the content description changes you mention. Many of the others would never have gotten off the ground if catch (and others) hadn't been around to review them and offer suggestions! And, I've got to say -- I can look at a page of text for an hour, and it'll look fine. Gábor or Dries will come along and see things I never even spotted, or think of things I never thought about -- I think I have a good eye for editing, but I'm just amazed at those guys. But thank you, Angie, for the nod! It makes me feel very appreciated. Your contributions are appreciated. Thanks Angie, for the spotlight profile. Just installed beta 4. Content type descriptions alone are worth the update :) Now people will know what's the difference between page and story! Webchick - well done highlighting non-code contributors. We need more and more UI/Docs contributors and this will motivate people. Wonderful idea!